WHO WANTS TO MAKE IT AN EVENLY MATCHED GAME WHEN YOU CAN FORCE YOUR COMPETITION TO PLAY UPHILL? 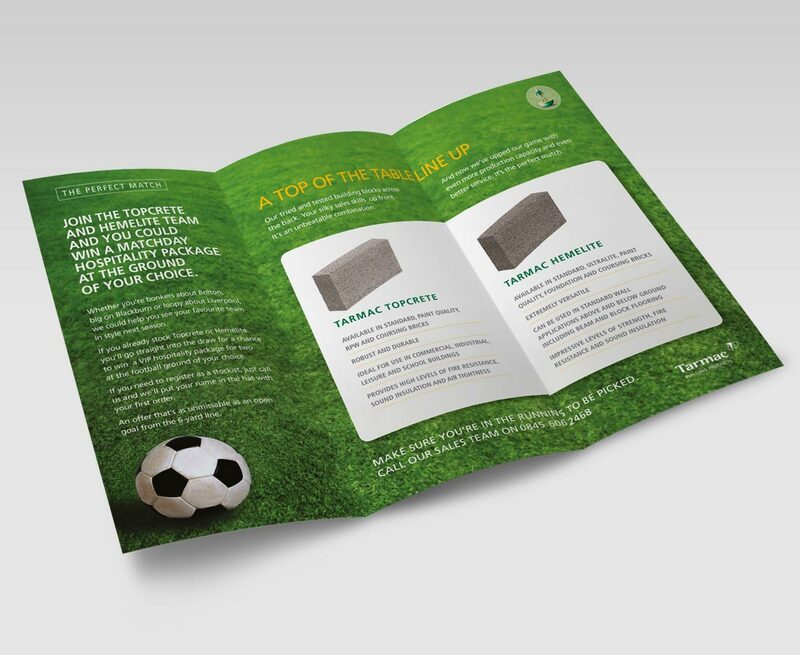 Tarmac Building Products asked us to help grow sales of Topcrete and Hemelite blocks with a direct mail campaign and giveaway. 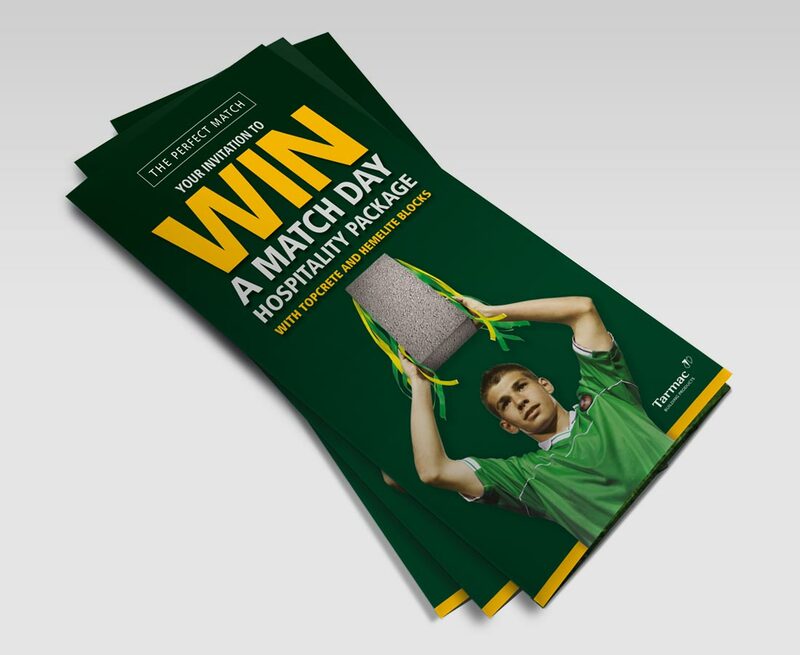 Now, if you can build an emotional bond between your customers and a grey concrete block, you’re onto a winner. 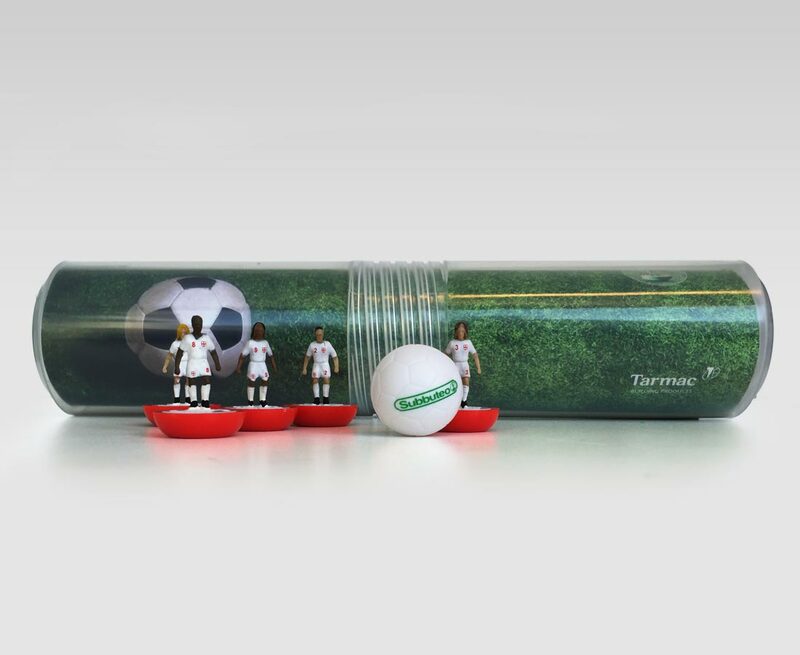 And as popular as the chance to win a VIP matchday experience was, what really got a reaction and brought all those warm, boyhood memories flooding back was the inclusion of a 25mm high plastic footballer and an outsize dayglo ball. Tarmac blocks 1, competitor brands 0. 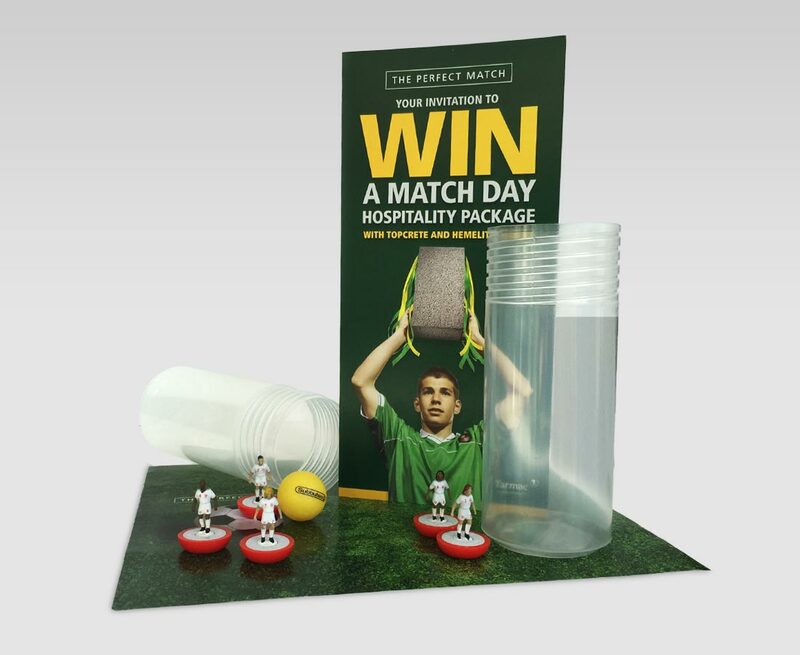 Direct Mail – Targeted direct mail to a defined demographic: Merchant managers, mostly men, with an enthusiasm for football and a nostalgic connection to games of their childhood.